Listen to this toe-tapping, lively, Irish square dance version of 'My Irish Molly O' (Solid Gold label). Great, moving dance beat and Kevin has included both Plus & Mainstream figures. Click Solid Gold to buy this now, just in time for your St Paddy’s Day dances! 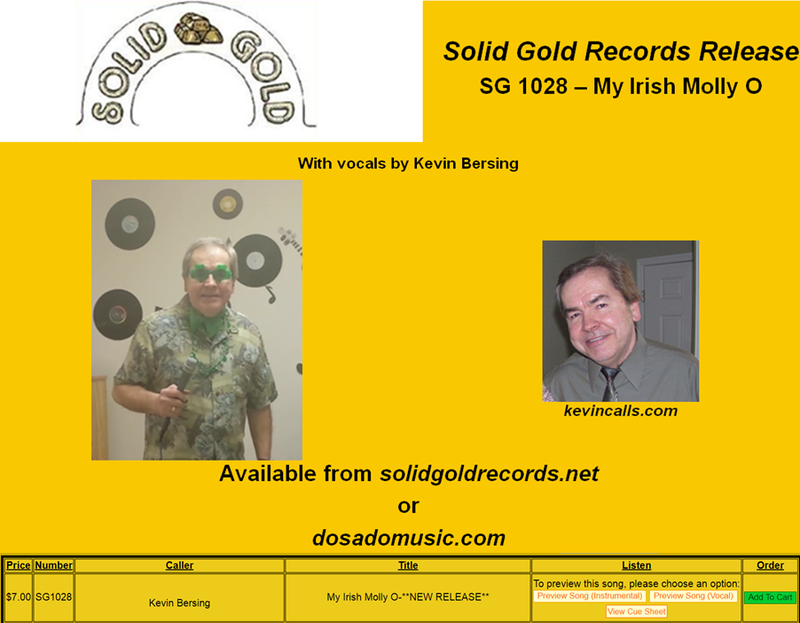 Click Solid Gold to preview and buy these recent recordings by Kevin.